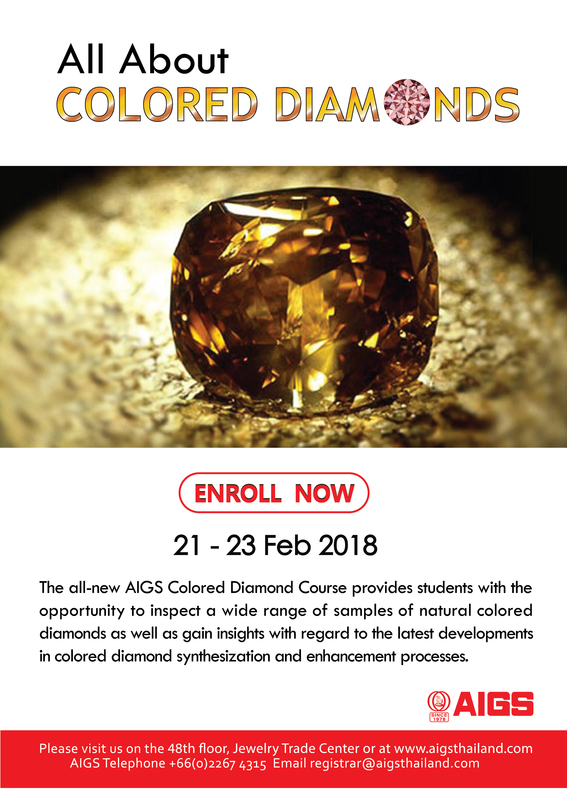 Register for the AIGS Colored Diamond Grading course by 31st January and pay only $800. (Regular price is $1,200). You'll work with a large selection of natural and synthetic colored diamonds during this intensive course.